A cover letter is a letter of introduction. A cover letter is a letter that is sent along with the resume and/or curriculum vitae (CV). The purpose of the cover letter is to introduce the candidate, as well as to explain the contents of the resume or the CV. While, the resume is a methodical list of the person’s work and educational experience, a person is so much more than that. A person has a personality, motivation, habits, and various other reasons that would make them great at the job. However, all of these things may not be visible from just a resume. This is where the cover letter comes in handy. The cover letters can show a little about the person that the company would hire, not just their experience. The employers usually look at the cover letter to see what kind of a person the applicant is and whether or not they will fit in with the company culture. A decent cover letter must introduce the applicant, explain the purpose of writing, and highlight a few experiences that are applicable for the job. It also shows the employer that you are invested in the job, as you are taking the time to personalize the job application. 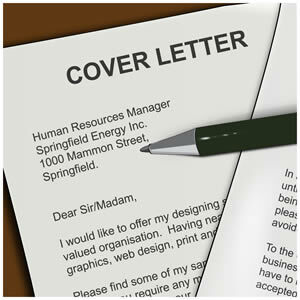 Essentially, a cover letter is the first impression that the person makes on his or her potential employer. The first impression is the most important and one never gets a second chance at it. Hence, it is of utmost importance that the cover letter has a good impact. The networking letter – requests information and assistance in your job search. I want to write a clover letter for my new job, and I've no ideas what to write or how. But the positions I want to apply is Assistant of Tourism & Hospitality CEO in Myanmar.